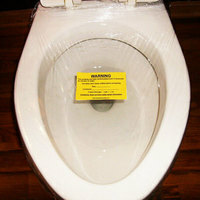 Pressure Sensitive Winterization Stickers . 250 per roll. 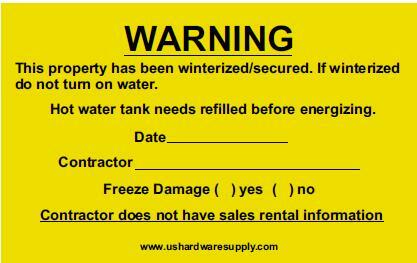 This property has been winterized / secured. 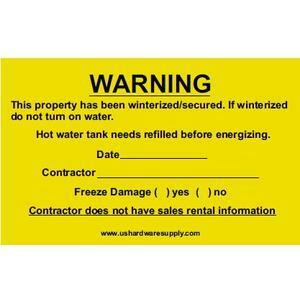 If winterized do not turn on water.